I love this Doctor! He is kind and patient and explains what he is doing which is very reasssuring. The officeis new and state of art. The office manager is so friendly and I had the best cleaning I ever had from dental hygienist, Marlene. I love this Doctor! He is kind and patient and explains what he is doing which is very reasssuring. The office is new and state of art. The office manager isso friendly and I had the best cleaning I ever had from dental hygienist, Marlene. Finally found a great dentist in my neighborhood! The office is beautiful and clean. They made me feel at ease assoon as I walked through the door. The hygientist did a fantastic job with my cleaning, the dentist is very professional and personable, will definitely refer my friends and family. Finally found a great dentist in my neighborhood! The office is beautiful and clean. They made me feel at ease as soon as I walked through the door. The hygientist dida fantastic job with my cleaning, the dentist is very professional and personable, will definitely refer my friends and family. Dr. Andrew Levy began his patient care experience at North Shore University Hospital, where he worked as a Dental Clinic Volunteer. 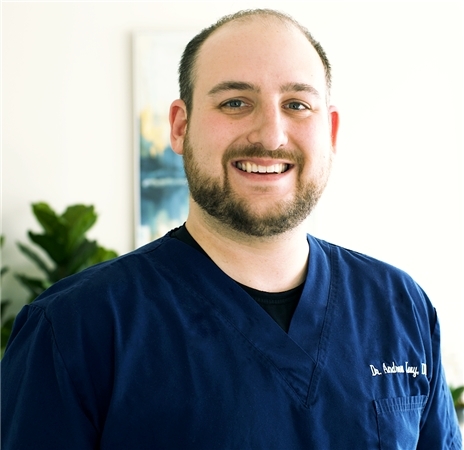 After completing his Bachelor of Science/Biology degree at the University of Albany in 2007, Dr. Levy received his Doctor of Dental Surgery degree in 2011 from New York University College of Dentistry. While working at the Urgent Care Clinic of NYU's College of Dentistry, Dr. Levy excelled in emergency treatment, pain management and the administration of antibiotics. During his tenure at NYUCD, he was accepted into the Honors Esthetic Program, where he trained in veneers, teeth whitening, crowns, laser surgery of soft and hard tissue, and other cosmetic and general dental services. After receiving his degree at NYU, Dr. Levy completed his General Practice Residency at Woodhull Medical Center in Brooklyn. Here he performed comprehensive dental services, including endodontics, periodontal therapy, implant dentistry, bone grafting, prosthodontic restorations, and emergency treatment-- among many others. Dr. Levy is versed in treating patients of all ages and conditions, including pediatric, geriatric and medically compromised individuals. Cancellation Policy Your appointment time is valuable and has been reserved specially for you. If it is necessary to reschedule your appointment, please provide us with 48 hrs notice. PLEASE DO NOT BOOK DENTAL CONSULT AS A CLEANING. CLEANINGS ARE DONE BY OUR HYGIENIST AND SHOULD BE BOOKED AS DENTAL CLEANING. THANK YOU. Have not felt so good in a long time. Dr. Levy was very comforting and professional during each visit. Stepping into the office, I immediately felt taken careof by Dr. Levy and his staff. Dr. Levy is incredibly knowledgeable and made my dental experience really great! Dr. Levy is so thorough every time I see him. His patience, skill and calming nature makes every visit a success. Thank you for being so professional! Happy holidays and happy new year! See you in 2018! Dr. Levy was amazing, very professional staff, I went in for a routine check up & cleaning and his hygienist was supper nice & gentle. Great exprience overall and I would reccommend this dentist to friends & family. Very professional. Staff was very nice and helpful. Dr. Levy was great. Listened to my issues and did not force anything on me. The office is beautiful and very clean.